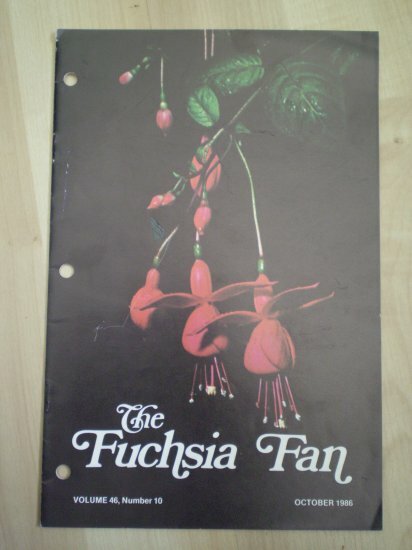 This is the October 1986 issue of Fuchsia Fan magazine, Volume 46 Number 10. It is staple bound, 14 pages long, and pre-punched along the spine. The pages are clean & unmarked. There are no stains, no tears. There is light rubbing along the cover edges. Back cover has address label sticker and a number sticker.